Art Talk: Merry Christmas and Happy New Year! 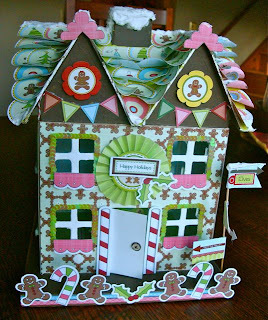 I wanted to pop on here and update my blog before the big holiday rush! It's been so crazy busy getting ready for Christmas. We are hosting the dinner and festivities for our families at our house and I haven't even started baking yet! Not to mention how much wrapping I have to do tonight!!! 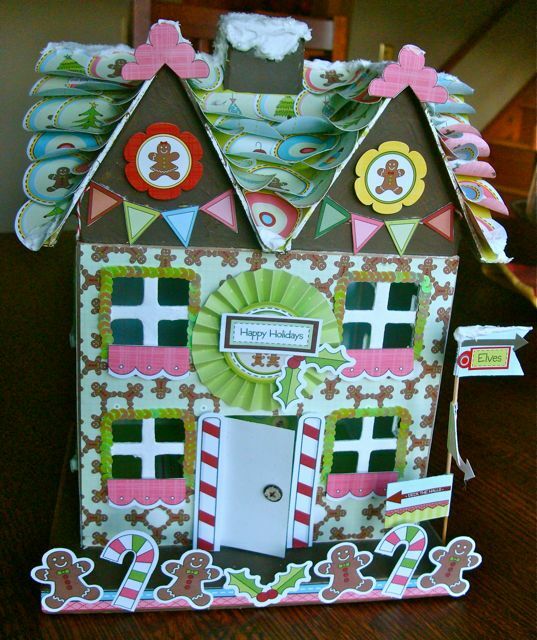 Gingerbread house from Nikki Sivils papers! It's been hard to get into the holiday spirit this year. I'm not sure why I feel like such a "Bah Humbug" lately! Maybe it's the rush and the stress at school. Maybe it's the lack of snow here (which is totally unusual!)... I don't know. I'm just ready to be on break and get this holiday over with. I guess I need to just be with my kids and remember the reason for this holiday. I wish you all wonderful holiday greetings and time spent with family this week!